The local Kitakyushu spectators celebrated a major win in the Seamaster 2018 ITTF World Tour Lion Japan Open Women’s Singles semi-finals as Japan’s Mima Ito sealed her spot in the final with a breathtaking comeback effort on Sunday 10th June, eliminating China's Chen Xingtong across seven games (8-11, 9-11, 6-11, 11-9, 11-9, 11-7, 11-7). In a thrilling contest Chen Xingtong was very much the player in command in the opening stage of the match and before long found herself with a three games lead to her name, however, with the backing of the home crowd Mima Ito sensationally turned the match on its head with three consecutive game wins of her own to force a deciding seventh game. With momentum firmly on her side Mima Ito sailed into a 5-1 lead in the decider before extending her advantage to 10-5. Chen Xingtong recovered two points on the bounce but the next point sent the Japanese crowd wild as Ito clinched the win in dramatic style. 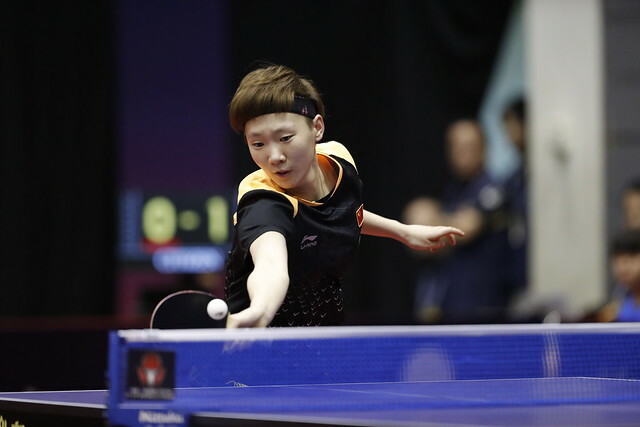 Set to appear together as allies in the Women’s Doubles final but first Wang Manyu and Liu Shiwen would meet as rivals in only their second ever head-to-head encounter on the ITTF World Tour. Very little separated the two competitors with the opening five games of the contest being decided in alternating fashion before a convincing win in game six for Wang Manyu sealed the victory (11-7, 7-11, 12-10, 9-11, 11-6, 11-6). The result means Wang Manyu’s dreams of moving to the summit of the World Rankings list come the next publication will become a reality. The Women’s Singles competition concludes later in the day with Wang Manyu and Mima Ito battling it out for the top step of the medals podium in Kitakyushu.